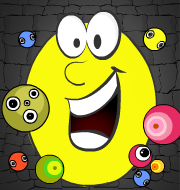 This game revolves around defending and reinforcing barriers to protect your faith. Excellent way to revise your Gurmukhi alphabets along with their pronunciations. 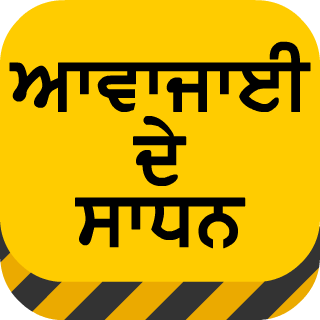 Now learn Gurmukhi Laga Matra (vowels) with an exciting game. 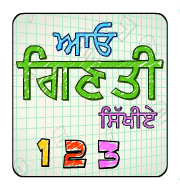 Learning counting in Punjabi is now very exciting with this interactive game. 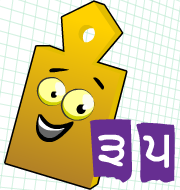 This entertaining game teaches children the right order of the 35 Gurmukhi alphabets. Akhar Bodh is an interactive game to teach Gurmukhi 35 Akhar to children. 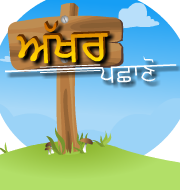 This game aims at teaching basic Punjabi vocabulary along with spelling of words. Drag and drop the correct beginning letters of each object to the center, over the object. A set of different games designed to enable children to identify and distinguish between various Gurmukhi letters. Pehla Akar Kehra - adds a new dimension to playful learning! Mera Pinda is an educational and entertaining game specially designed to teach body parts to kids. With Color Mix our kids can name colors in chaste Punjabi which they learn in a playful manner. Playing with Clock is an innovative game to cultivate the concept of time in children both in English and Punjabi. Learning names of Shapes in Punjabi with real life examples of the occurrence of the shapes in day to day use. Teach children the days of the week in a fun and playful manner. 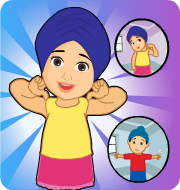 This educational and entertaining app is specially designed to teach Gurmukhi counting to kids. Teaches children the months and seasons of the year in a fun and playful manner. "Ginti di khed" is unique app where kids join dots to reveal pictures of animals in the bargain end up learning Punjabi counting!! Aao Antar Labhiye game has been developed to increase the power of observation in children. 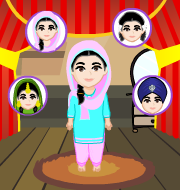 This game teaches children to recognize various colors in Punjabi and segregate objects. Playing with Dresses helps kids to learn the right sense of dressing up for various themes in a fun way. This unique coloring game has been designed to help kids enjoy and be creative at the same time. 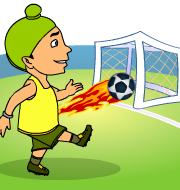 Improve children's observation skills and reflexes through this special game designed for Kids. A unique puzzle loaded with pictures, scenes and music from Vismaad movies.